Finding rare little ‘jems’ of animated shows is always a real treat, but finding one that not only respects it’s characters but also its audience is a true treat. Father of the Pride does both. 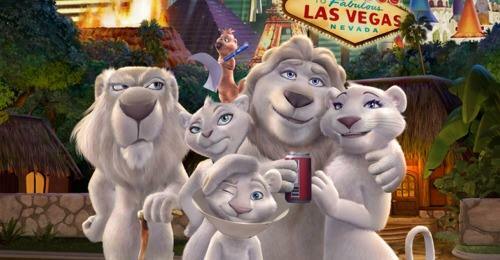 Centered around a family of lions in the Siegfried and Roy show, it plays itself much like the beloved Henson puppet creation Dinosaurs, focusing on an average sitcom family and the daily lives they have, with side plots containing the shenanigans of their jewel studded owners’ adventures. 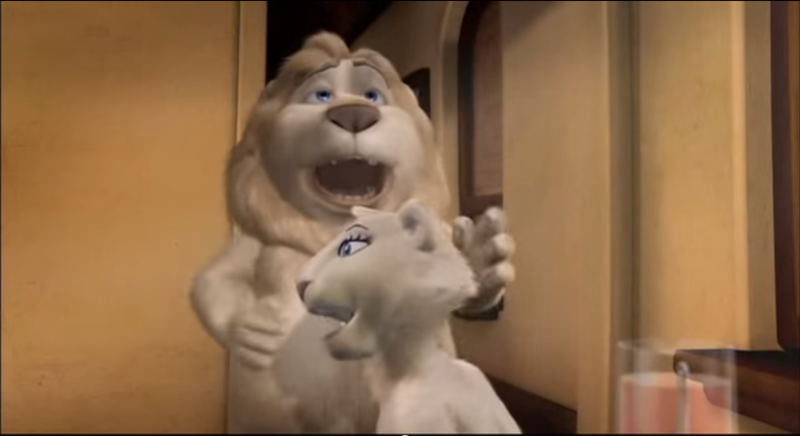 The show itself was highly promoted in 2004, with a star cast including the voice acting talents of John Goodman, Carl Reiner, and Orlando Jones. Despite this, it didn’t take well with a general audience, receiving a single season. With production being halted due to the on-stage injury of Roy in 2003, it fell short of it’s budget costs. 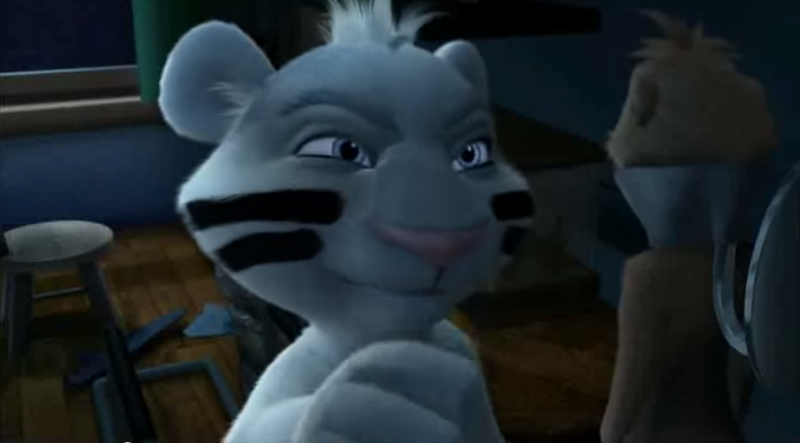 No matter the reason, whether it be high costs of Dreamworks animation or bad luck from the injury, Father of the Pride faded into the unknown, to only find a following with high ratings via likes on various playlists on Youtube. Billed as an adult show, it feels tame compared to the raunchy mayhem of anything on the Adult Swim line up. It shows as almost children’s material when compared to the vulgar horror of the latest run of Family Guy. But it’s charm lies in the fact that it doesn’t need to go into that extreme territory. The antics of Samorti, the grumpy hound dog grandfather, aren’t insulting or demeaning to the characters concerned. His involvement with the youngest of the family, Hunter, in ‘Possession’ is entertaining, and never out of bounds. Following the usual bully story, it takes it’s own spin, with the bully of the lion cub being a gazelle. Samorti takes the young cub under his paw to teach him the old ways of Zumbasa, creating an overly-violent, Gollem-esque Hunter who took these teachings to the extreme, kidnapping his father’s best friend Snacks. Where an instance such as this in Family Guy would take a dark turn, the light hearted Father of the Pride simply goes with the strange whims of the Lord of the Rings-loving cub. This plot ends in a talk about not being violent and talking things out, rather than ignoring the implications of violent outbursts. The side plots contain some of the show’s best humor moments with Siegfried and Roy. Whether attempting to fix a 7/11 Big Gulp soda machine, or trying to get rid of a small bed and breakfast for blemishing the fast world of Vegas, the two are nothing short of enjoyable to watch accompanied by their own theme song wherever they go. 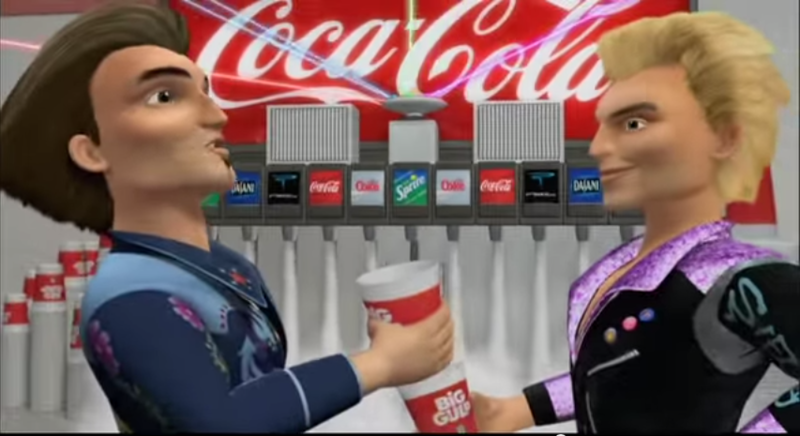 During the Big Gulp ‘Ahh’ quest, in which Roy declares he must have the Ahh moment after viewing an 7/11 commercial, hijinx ensues, complete with writing formulas on fridge doors within the store. Siegfried takes on the task of fixing the clerk’s near-shattered love life, only for the duo to return home and finish the commercial. Finding the ‘Ahh’ is not complete without the Mmm of a chili dog. Neither man is belittled or mocked for their strange ways. In fact, most who encounter them merely are flabbergasted or stunned. By far one of the funniest main stories involve the parents, Larry and Kate, who believe their daughter Sierra to be on the ‘nip.’ Miscommunication causes a trip to the local Rave in search of Sierra, only to end up with nip fused sausages. Larry and Kate nearly ruin Sierra’s school interview with drugged antics, including acting out and tackling the poor interviewer. Despite this, Sierra never brought either parent to shame or tears. The entire ordeal is meant to be a mishap on their part, and the resolve is meant to bring the close family even closer, something often seen in the well received show Bob’s Burgers. The characters are meant to laugh with each other, not at one another. 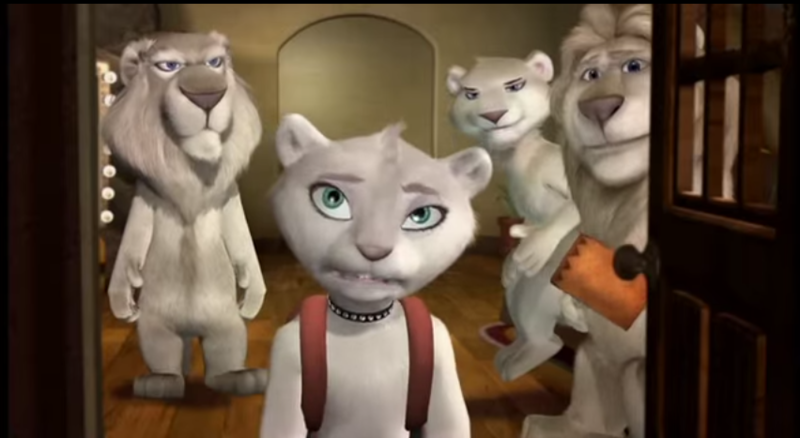 In its entirety, Father of the Pride is a well done PG to PG 13 sitcom about an oddball family coming together. Its short, but well-constructed season is a breath of fresh air against the tide of stale vulgarity in the adult animation of the present. The characters are not walking cliches, and are each given a time period to shine. If given the chance, it could have been the contender to The Simpsons that Family Guy only wished it was.